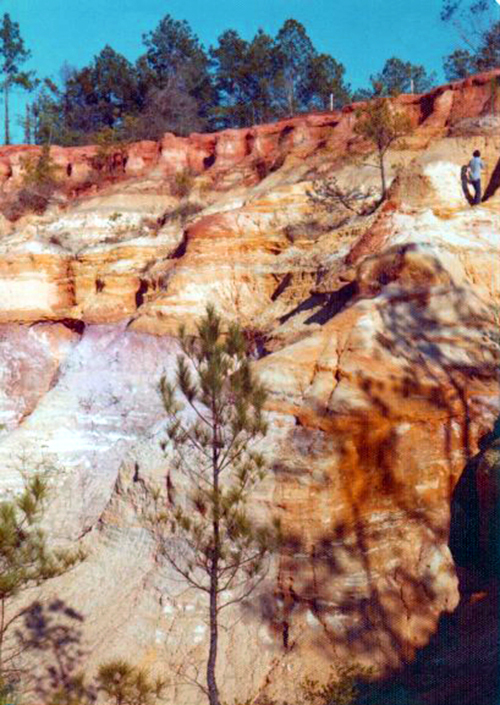 Photo date: 1976 The Bluff at Bryant Hill: It overlooks an expansive clay canyon etched by the prehistoric, erosive actions of the Flint, its colorfully striated embankments extending down into the river swamps. … Across the little branch that runs to the river past the turn-off to Indian Lake at Vinings Road, the pavement ends and the dirt road begins to climb. The brothers slowed. They parked the car just beyond the curve, and left it to navigate the ditch that separated the pavement from the edge of an escarpment, colloquially known as “the Bluff at Bryant Hill.” It overlooks an expansive clay canyon etched by the prehistoric, erosive actions of the Flint, with colorfully striated embankments that extend down into the river swamps. A few paces down the ridge on the left, they reached the site where the dilapidated structure formerly known as the Stage Coach Inn stood for years amid dying oaks. 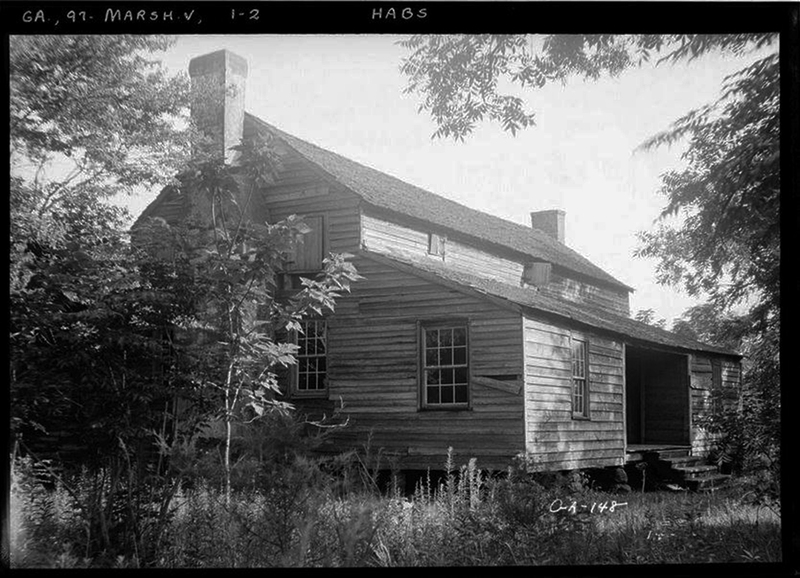 Built by a man named Nathan Bryan in 1810, as a stylish carriage roadhouse along the old highway, the story-and-a-half dwelling, with its front and back lean-tos and rustic timbers, was said to have also housed the first ‘bank’ in the state of Georgia. After later use as a private residence, long since abandoned, it was eventually destroyed by fire, but during Tom’s youth, it loomed over the escarpment like a wooden mausoleum. The “Bryan Place” had always seemed hostile in Tom’s mind, as hostile as the house off Old Perry Road where the angry dogs had lived under the porch, yet the bluff was anything but. The bluff was a sacred portal, a magical transport to endless hours of adventure and exploration, a place where the dads were the guardians. No mothers ever went there. The canyon’s gentle slopes up from the swamps were for climbing, and jumping, and expending boundless amounts of energy, imagination, freedom. It was the farthest point in that direction that one could reach on a bike, and the short hike to the mill pond below extended the journey into the impossible, the place beyond bicycles, a place attainable, heretofore, when fathers took sons hunting. Though the Bryan house was never the main attraction at the bluff for young Tom, it did add to the atmosphere. Thrill seekers from three surrounding counties ventured there amid rumors that the once-elegant inn was haunted. Indeed, a bullet hole in the large upstairs room remained as evidence that a murder had taken place. 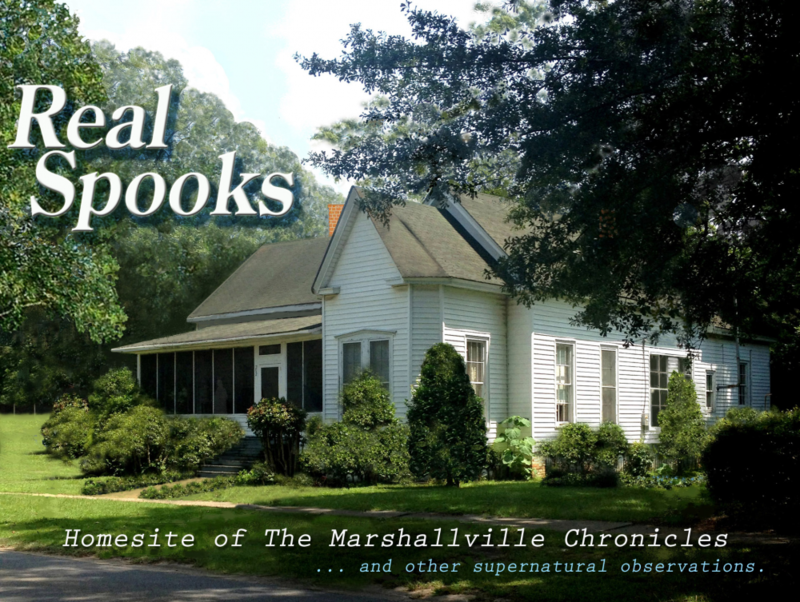 Subsequently, every child in Marshallville knew it as the quintessential haunted house. Proof of the haunting, “House on Haunted Hill ain’t got nothing on Bryant Hill!” was proclaimed on the schoolbus in 1960. It was proclaimed on the afternoon Mac told all the kids to get into the car, and drove them to the bluff on an expedition. When someone suggested they explore the house, Mac led the way inside to the central staircase. Without question, the children carefully navigated the steps to the door of the second floor. It opened into a single large room, but the upward extension of the enclosed stairwell continued to the ceiling, creating four distinct areas, each with its own window. The surrounding interior walls of the room and the stairwell gave it a gallery-like appearance, as Tom, Nancy and their friends crept around the sections searching those high corners. Just as they were inspecting the darkest, there was a “creeeek” on the stairs. No doubt, it was Mac heading up to help with the search. When he didn’t appear, they moved to check the stairwell, but no one was there. Back to investigating corners, they were excited to locate what they thought was the notorious ‘hole,’ when again, the “creeeeking” sounded. Again, they checked, and saw no one. Several more ominous squeaks, and Tom alone peered down the stairs. Where was Mac? Tom wasn’t sure, and he relayed the puzzlement to the others who were frozen with fear and listening. When Tom turned to look again, Mac was standing on the top step at the doorway, his head shrouded in shadow. Tom shrieked and fell backward. Terrified, the children scattered. Only when they regrouped outside, did they learn that Nancy had bailed out of the south gable window into a brier bush. Mac followed their flight down the stairs, trying to reassure them, trying to explain, and they laughed about it all the way home that day, and for years to come. The episode remained in Tom’s memory as one of the funniest, though scariest of those times his father had caught them off guard, as he was apt to do, from the time they were small, playing hide and seek. Mac never explained how he was able to duck behind the wall each time after hitting the bottom step, and somehow bolt up the stairs without a sound. Regardless, nobody was in a hurry to explore the house again, and certainly not with him — the precise result Tom’s father had intended.